The winner here is the Volkswagen GTI Autobahn. Why the GTI? It is the only car here that looks sporty and aggressive without having to resort to a bunch of aero parts. The look of the GTI is just simple and clean. The Focus ST and WRX both add a slew of aero parts to achieve their aggressive looks. While the WRX gets the STI treatment, it can be a bit much with its giant fender flairs. This means the Focus ST edges it out for second place. On the other side of the spectrum lies the Mini Cooper S, with its cutesy bug eyed look. While the Fiat 500 and Cooper S both share a cute, bug eyed look, the Cooper S is really beginning to show its age, and no amount of aero parts can take away the desire to have a staring contest with it, followed by a session of cuddling with it like a puppy. Another win for the GTI, Volkswagen certainly knows its interiors. The GTI's interior not only contains plenty of high quality materials, but the design of it is simple and functional. But just because one German manufacturer knows how to put together a good interior, does not mean they all do. The BMW built Mini Cooper S would have placed higher than the Fiat 500 Abarth, had the interior not been lined with gaudy chrome over every surface. The positioning of the speedometer also presents a problem, especially with the decision to plant the car's infotainment screen right in the middle of it. Unfortunately for the WRX, it places last in the interior category. For a car that costs around $26,000, you would expect the interior to get some improvements over its more pedestrian sibling. Instead, it would seem Subaru decided keeping the rental car interior and putting all its money into the engine, suspension and drive train would be enough. While the Focus ST also shares this problem, it is saved from last place by its fancy Recaro leather seats. The quality of the leather used for the Recaro seats is quite nice, but does seem a little out of place with the rest of the interior. I suppose anything is better than the rough cloth material of the WRX's seats though. The Ford Focus ST's engine and transmission simply left me impressed. Being one of those guys that used to consistently pan Ford for their shoddy build quality and slow cars, the Focus ST really opened my eyes and gave me a glimmer of hope that Ford has turned a new leaf. The 2.0 liter, turbocharged, four-cylinder "Ecoboost" engine exhibited little to no turbo lag, and power felt ample throughout its power range. The precise six-speed manual and short clutch travel made driving this car an absolute joy. 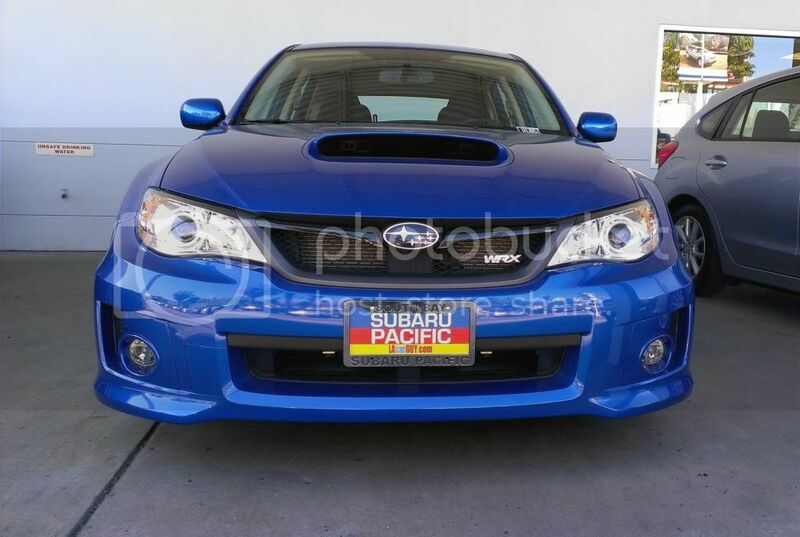 The Subaru WRX 5-door comes in at a very close second though. Subaru's 2.5 liter, turbocharged, four-cylinder "boxer" engine also exhibits a nearly lag free and smooth power delivery. The only thing that prevented the WRX from tying for top honors is the dealer's inclusion of the STI short throw shifter kit, which actually made the shifter feel plasticky and did not exhibit noticeably shorter shift throws. The Fiat 500 Abarth and Mini Cooper S tie for third as both engines and transmissions exhibit very similar characteristics. Both cars have smooth power delivery and very little turbo lag, but can be buzzy and quite annoying at cruising speeds. The Mini and the Fiat also both suffer from what I like to call "plastic transmission" feeling, where the transmission feels like it comes from a video game controller instead of a car. The Volkswagen GTI places dead last in this category, not because it did not have a manual, but because the engine exhibits very noticeable turbo lag. Every other car in this category was able to handle the turbo lag quite well. Considering how long the Volkswagen has been using the same 2.0 liter turbo four-cylinder in the GTI, I am really disappointed the issue has not been addressed. The Subaru WRX takes the win in this category. Not only does the WRX handle extremely well, but it does so with what I felt was the least amount of body roll, and offers the best compromise of daily driving comfort and on-demand handling. Also working in the WRX's favor is its hydraulic power steering rack. This gave the WRX the best steering feel of the group, despite feeling a little bit lighter than some of the other cars here. The Focus ST comes in at a close second. While the ST handles just as well as the WRX, and offers a great steering feel as well, the Focus ST's suspension is a bit rough. The Fiat 500 places third as its steering feel is somewhat dull, and the car rides fairly rough due to its hard suspension and short wheel base. The car's height also creates a little more body roll than one would expect. As for the Mini and the GTI, this was actually a close race for dead last. While the Mini does suffer from a hard ride and extremely dull steering feel, the GTI's steering takes dull steering to a whole new low. Driving the GTI quickly is a fairly nerve wracking experience. Considering that all of the cars here are considered performance cars, nose, vibration and harshness might not be a top priority for the target buyers. However, there comes a point where even the most unwavering mind can be brought to its breaking point by the constant droning of an engine. Volkswagen does the best job of limiting the amount of NVH with its quality interior. Thanks to that quality built interior, the GTI also had no noticeable squeaks or rattles throughout the cabin. And despite the tube running from the engine bay into the cabin to feed intake noise into the cabin, the GTI still remained, to my ears, the quietest car of the bunch. Subaru's WRX comes in second as it too was fairly quiet, but exhibited a few squeaks and rattles over bumpy roads. The Focus ST would have tied the WRX for second, except its interior exhibited a few more squeaks and rattles over the same patch of bumpy road. At the end of the spectrum lies the Mini Cooper S and the Fiat 500 Abarth. Both cars suffered from engines that droned on and on at cruising speed. While the Cooper S' engine buzzes at cruising speed, it is still quiet enough to be tolerable for a short period of time. With the Fiat 500 Abarth, even a few minutes of listening to the engine drone at cruising speed could drive a man insane. I often found myself finding a reason to accelerate hard just to avoid slowing down to a cruising speed. Being a comparison of hatchbacks, cargo space is going to be important. In this comparison, the Ford Focus ST gets top honors for cargo capacity with 23.8 cu.ft. 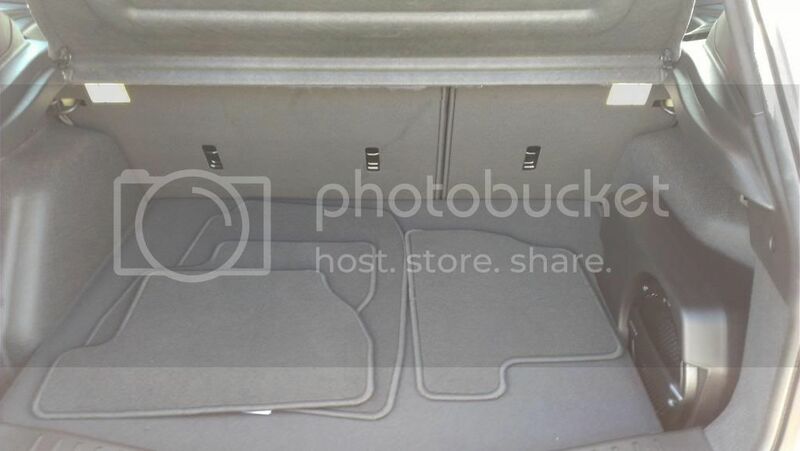 of storage with the seats folded up, and 44.8 cu.ft. with the seats down. The Subaru WRX comes in a close second with 19 cu.ft. with the seats up, and 44.4 cu.ft. with the seats down. Coming in third is the Volkswagen GTI. The GTI could have taken top honors in this category, as it offers the greatest cargo capacity with its seats down at 46 cu.ft. 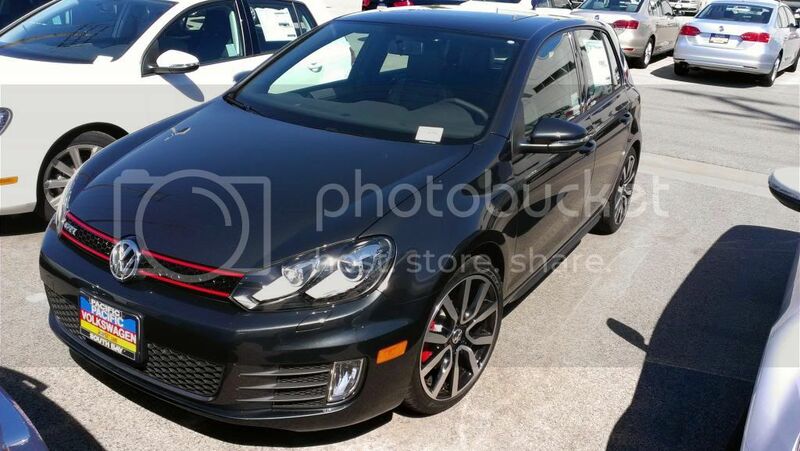 Unfortunately, with its seats up, the GTI only offers 15.2 cu.ft. of cargo space, thus putting it behind the Focus ST and the WRX. 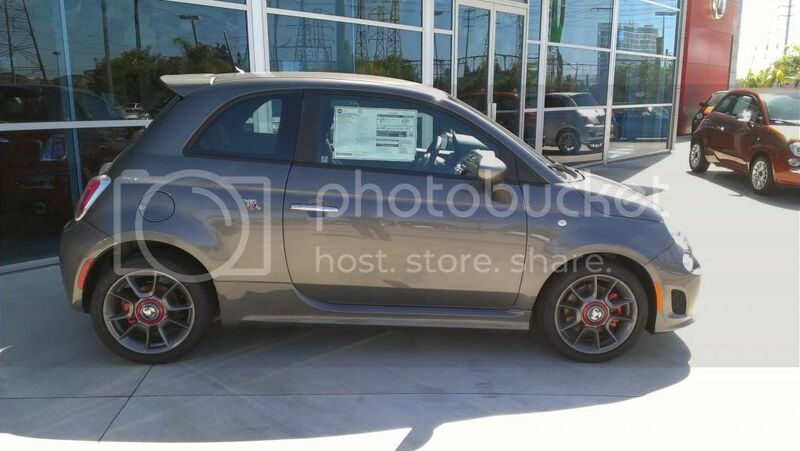 The most surprising vehicle in this category has to be the Fiat 500 Abarth. Despite its size, with the seats folded down, it offers a very surprising 30.2 cu.ft. of cargo space. With the seats up, however, it offers very little space at 9.5 cu.ft. 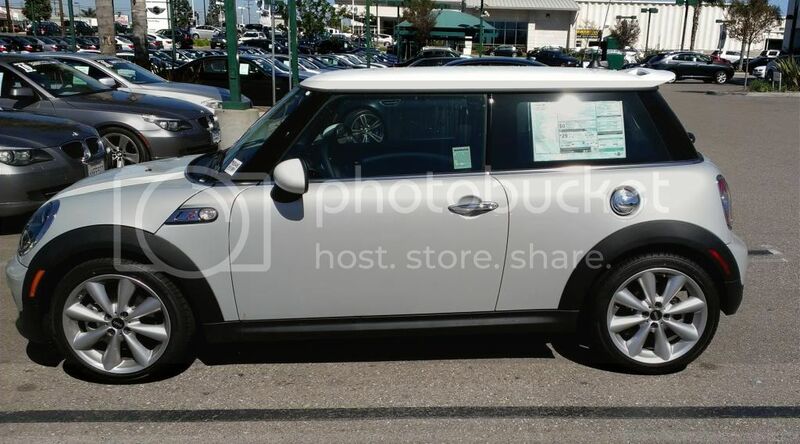 The award for least amount of cargo space falls on the Mini Cooper S, with its paltry 5.7 cu.ft. seats up (that's less than my S2000!) and 24 cu.ft. seats down. The spunky little Fiat takes the win in the value category, having all of the same standard features as the other cars here, and then some, for a relatively low MSRP of $22,700. The only option on the car, a removable navigation system, ups the price $500 to $23,200. 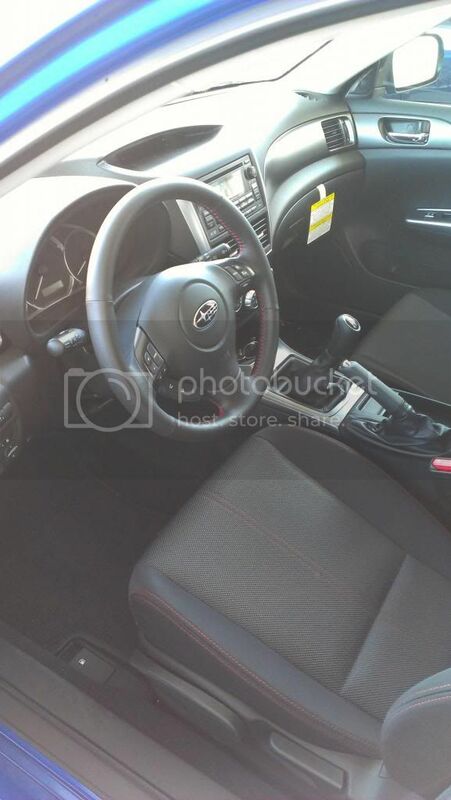 This also makes it the cheapest as tested price car and the only car that has a navigation system for under $25,000. The Focus ST comes in second as it does offer a lot of new gadgets such as a touch screen infotainment display and voice commands, along with leather seats. However, considering that some of the additional features you pay extra for on the Focus ST are standard on the 500 Abarth, the Focus ST can only climb as high as second in this round. The Subaru comes in third even though it has the most spartan interior. 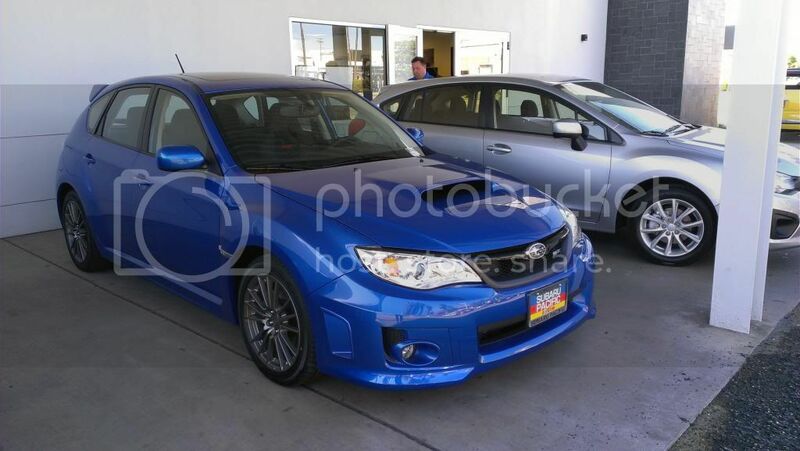 Its $27,740 as tested price comes as a result of the addition of exterior and performance accessories such as the STI short throw shifter kit, chrome exhaust accents and fog lights. Despite the performance and exterior accessories, the WRX does offer a decent standard feature list and it does have the second most cargo space of the bunch. As for the two Germans, it is once again a scramble for last place. Both cars are loaded to the brim with leather seats, navigation systems, and other features, but both cost well over $30,000 and both offer the least amount of cargo space. The GTI takes the last place dunce cap though, mainly because its $33,100 as tested price is completely unjustified. Taking into account that both the WRX and Focus ST can be loaded with similar features for nearly $5000 less makes the GTI seem like a gigantic rip-off. Two vehicles in the group definitely stood out, and they are the Subaru WRX 5-Door and the Ford Focus ST. Both cars were excellent driver's cars, both come very well equipped, both look sporty, and both had cheapened interiors. Unfortunately, I could only pick one winner. In the end, I chose the WRX 5-door to be the winner over the Focus ST. While both cars had their strengths and weaknesses, one factor made me choose the WRX over the Focus ST: initial build quality. During my test drive of the Focus ST, the salesman who tagged along noticed that the boost gauge that comes standard with the car was not functioning. He mentioned that this could be the result of it not being wired properly, or it could have malfunctioned. Sure, the boost gauge is a tiny, unimportant feature, but if something as trivial as a boost gauge can come out of the factory wired improperly or broken, what else could possibly go wrong with the car? This generation of the Subaru WRX has been on the market for quite some time, so initial build quality issues have already been addressed and worked out. Since the Focus ST is a brand new car, issues like this are expected to occur. Had I tested a 2014 Ford Focus ST, my choice for winner might be different. And the loser? Mini Cooper S takes that dubious honor. A combination of average handling, mediocre motor, and goofy look make it a less than appealing car for the enthusiast and the limited space fails to make up for its lack of outstanding character traits elsewhere. Plus, the terrible interior placement of key information just contributes to making it less appealing to the average buyer as well. In the end, its only saving grace is the heritage that the Mini brand brings with it, which is enough for some.